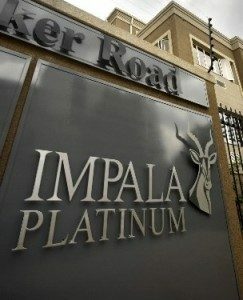 BusinessLive reports that improved prices for the metals Impala Platinum (Implats) produces has given it flexibility in how it pursues its restructuring, a process to which the board has an unswerving commitment, according to CEO Nico Muller. While the platinum price has remained depressed, the strong surges in sister metals palladium and rhodium have given the SA industry some respite. There is also some hope that in the next year or two the platinum price will stage a recover. The work Implats has done with its mines so far combined with an improved average PGM price has given the company rare flexibility in how to fulfill its restructuring strategy, Muller said. Last August, Implats outlined a two-year restructuring process to the value of R2,7 billion at its unprofitable Rustenburg operations, entailing the removal of up to 13 000 jobs and the closure or sale of 5 of its 11 mines to save the jobs of 27 000 people. Most of those jobs would go with assets earmarked for new owners. While the lives of shafts 1 and 9 are short and unlikely to attract interest, meaning they will be closed soon, the longer-life 12 and 14 shafts, which could be operated as a combined unit, are now becoming more attractive. Meantime, talks between Implats and neighbour Sibanye-Stillwater to extend the life of 1 shaft by mining into Sibanye’s resources have stalled.